St. Anthony police officer Jeronimo Yanez stands outside the Ramsey County Courthouse, May 30, 2017, in St. Paul, Minn.
A Minnesota police officer accused of fatally shooting a black man last summer broke down on the stand today, saying, "I thought I was going to die," according to ABC affiliate KSTP-TV. 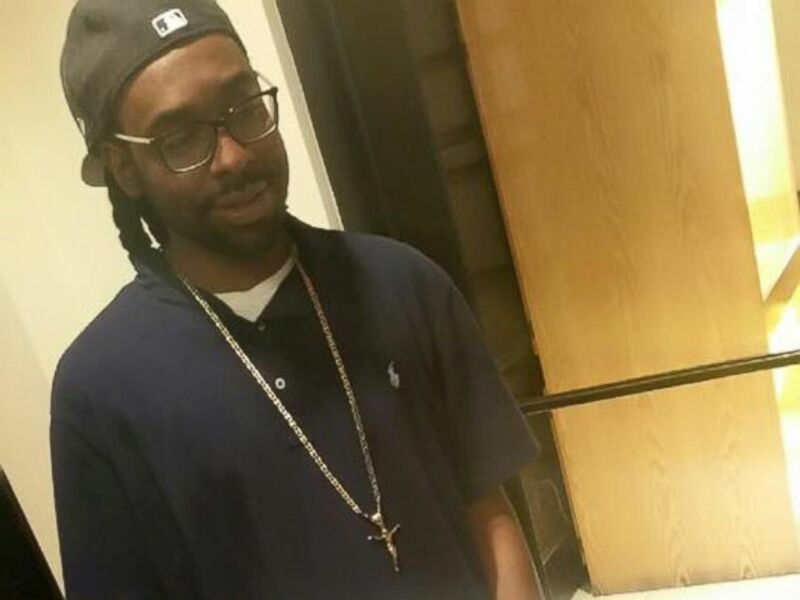 Philando Castile, 32, was shot several times by St. Anthony Police Officer Jeronimo Yanez, who is Latino, last July after Castile was pulled over with his girlfriend, Diamond Reynolds, and Reynolds' 4-year-old daughter in Falcon Heights, Minnesota, a suburb of Saint Paul. Castile told Yanez he had a firearm, according to The Associated Press, and video shows Yanez telling Castile not to reach for it. When Castile started saying he wasn't reaching for it, the officer interrupted, saying, "Don't pull it out," the AP reported. Castile was replying "I'm not pulling it out" as Yanez fired, the AP said. Yanez is charged with second-degree manslaughter. Prosecutors claim that Yanez did not see the gun and acted unreasonably; the defense argues that Yanez saw Castile's hand on the gun, which he had a permit to carry, the AP said. According to KSTP-TV, Yanez said on the stand today that before he initiated the traffic stop, he saw Castile drive by; the two "made eye contact and he gave me a deer-in-headlights look," Yanez testified. According to KSTP-TV, Yanez testified that when Castile "was reaching, he looked straight ahead" but "continued to reach toward his pocket. It was total disregard for my command." "I was scared to death," Yanez said, adding that he was thinking of his baby girl and family, KSTP-TV reported. "I did not want to shoot Mr. Castile at all," Yanez said, KSTP-TV reported. "It still upsets me today."